Here’s a Gibson custom shop ’54 reissue that we aged for a customer. 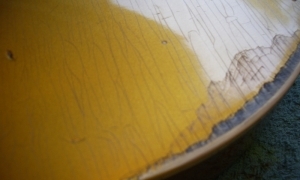 While it was a nice guitar, it just didn’t have the vibe. 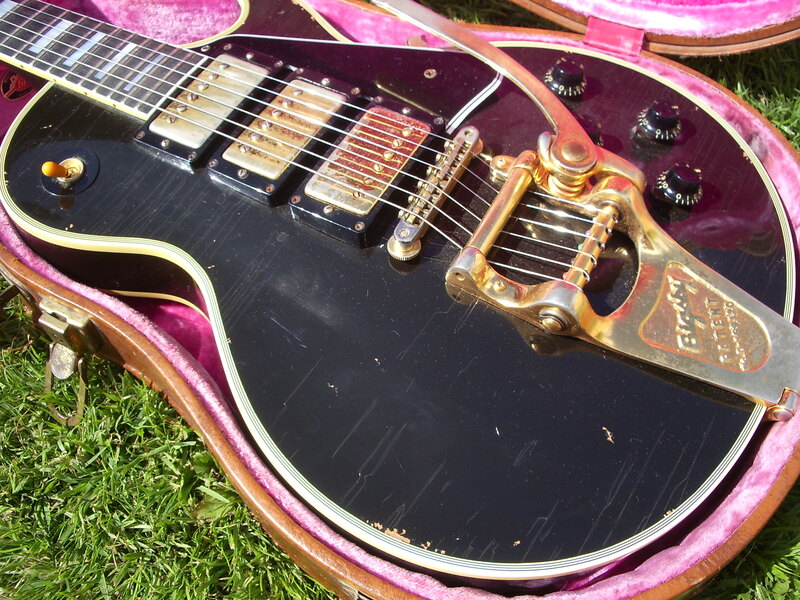 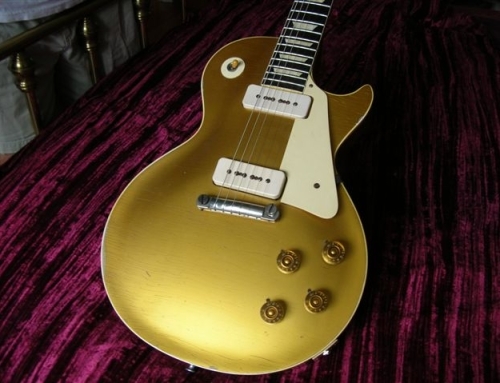 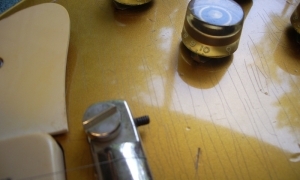 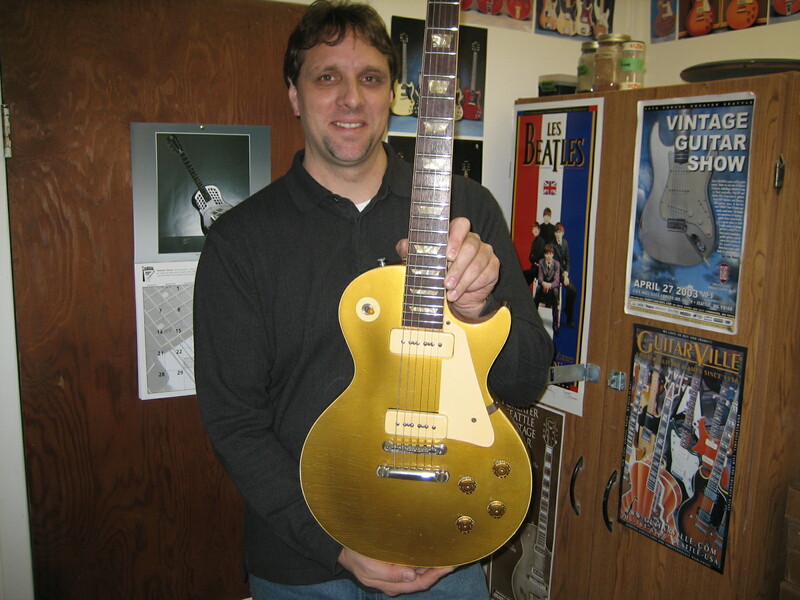 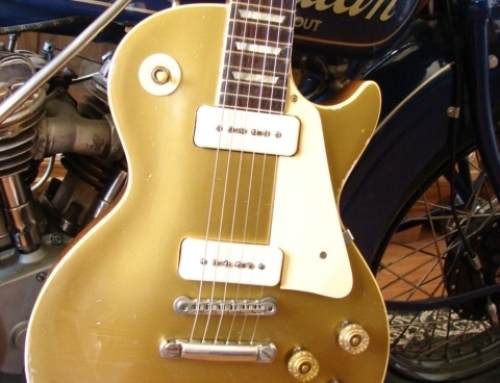 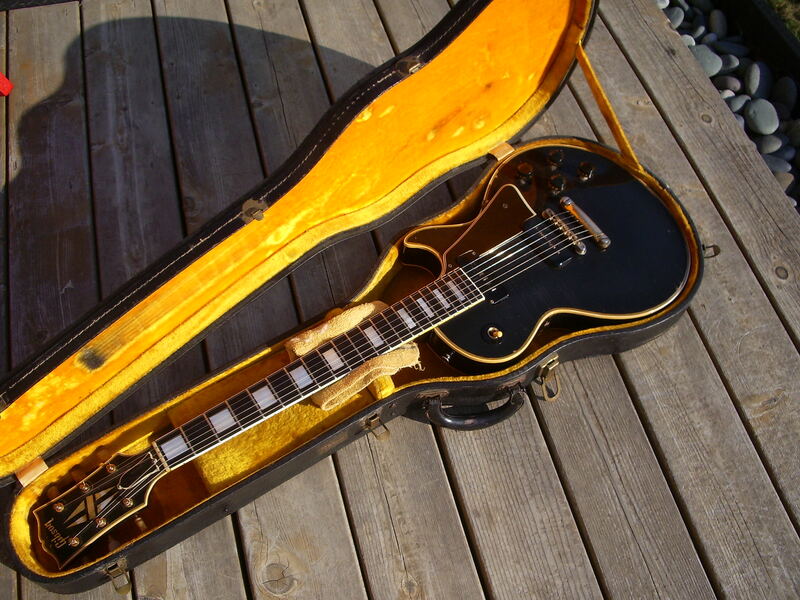 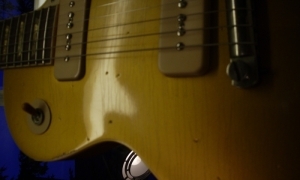 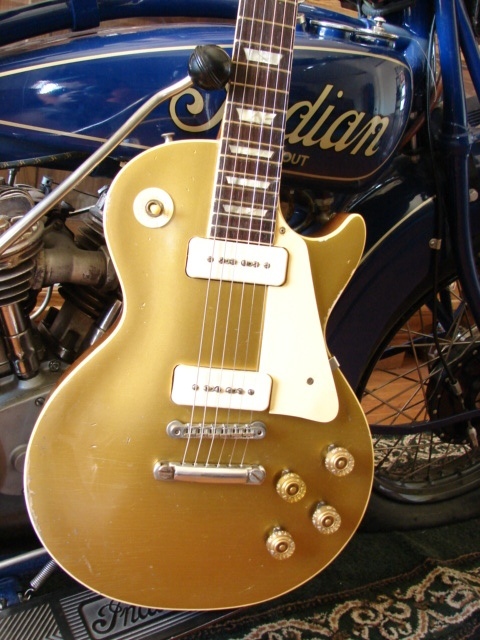 The lacquer checking on top is an EXACT reproduction of a well used real 54 goldtop, including the forearm wear. 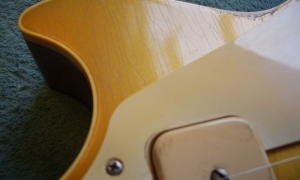 We also dyed the fingerboard darker, aged the inlays, truss rod cover, and all metal parts, and added a conservative amount of belt buckle rash. This guitar has major mojo now!